On March 27, 2016 our area of central Ontario endured a 24-hour ice storm. Sadly, the big, old, crooked maple and its long-time partner across the lane (along with many others about the property) couldn’t take the stress of the one-inch ice accretion upon its limbs and broke down. It broke my heart to see such a beautiful tree meet such an unhappy end. It was so mangled that it seemed to cut it down was the obvious choice. And then we wondered about having a local sculptor come in to carve a rearing, defiant horse into it. You know, symbolic of rising above the situation. In the end, and after much soul searching and upon finding sappy evidence that the tree, despite its terrible wound, was very much alive, we opted to give it another chance. We had an arborist make a diagonal cut across the tree from just above the shoot where the orange string is in the above image, hoping that perhaps this bit of assistance might help it to rise again. And believe it or not, against all odds this crooked old tree has actually found a way to thrive. It would have been so easy to right off this broken down and battered old maple. I’m glad we didn’t. Now I look at it as a testament to the resilience of both nature and the human spirit. We are never so broken that we cannot rise again with the right support and love around us. We are how we choose to respond to the slings and arrows of life. We either endure in strength, or we allow ourselves to be defeated. The scars become a testament to our character and provide an unexpected beauty all their own. The fog is finally lifting. Another section of the healing journey behind me. The big, old century cow barn (background), dating back to 1850 or so and the focal point of our 100-acre farm, was repurposed 20 years ago for equestrian use. The ceiling was raised and the barn widened to accommodate a horse breeding operation, and an addition was built, including 12 more stalls, common areas and an indoor arena. We purchased the property 18 months ago for my emerging Facilitated Equine Experiential Learning (FEEL) practice, repurposing this beautiful farm as a place of sanctuary where people can escape their worldly cares and heal their broken hearts in the company of horses. I tried to capture the magic with my camera, but really you had to be there. 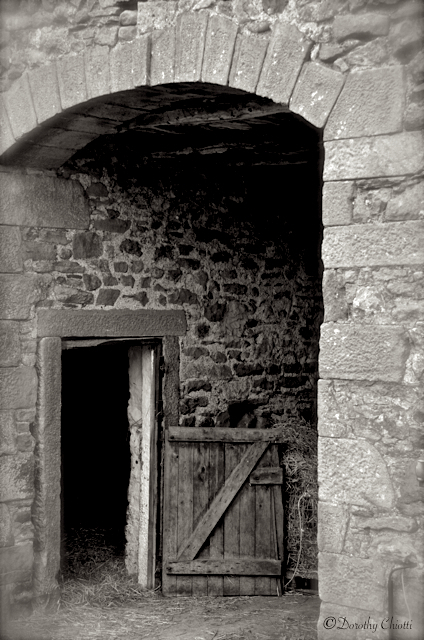 An ancient stable in rural Yorkshire. Since taking on the stewardship of a horse farm two months ago, it’s been fun to explore it’s many beautiful spaces, both man-made and natural. 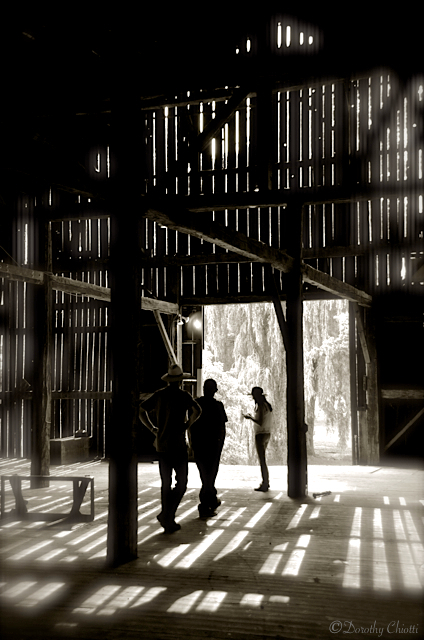 One of my favourite spots is the century bank barn. It’s a cathedral built to farm life. A shelter for the animals (in our case, horses). A storage for feed and machinery. A place to step into another time as its century beams and boards and vaulted roof draw us in to musing and meditation. All my life I have dreamt of having a century barn.